The Grammy®-winning Estonian National Symphony Orchestra started out as a small radio orchestra in 1926. Over the years, it has become Estonia’s representative orchestra and has powerfully increased its international scope, particularly in recent decades. 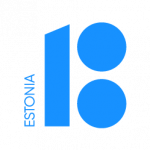 Estonia is a small country by most standards, but the 80-piece Estonian National Symphony Orchestra displays colossal musical talent. Guest conductor Arvo Volmer is widely acclaimed for his powerful performances in both opera and concert. Featured soloist Triin Ruubel is an Estonian violinist who performs throughout Europe as a soloist and chamber musician. Orchestral selections for the program will include works by Mendelssohn and Dvořák.